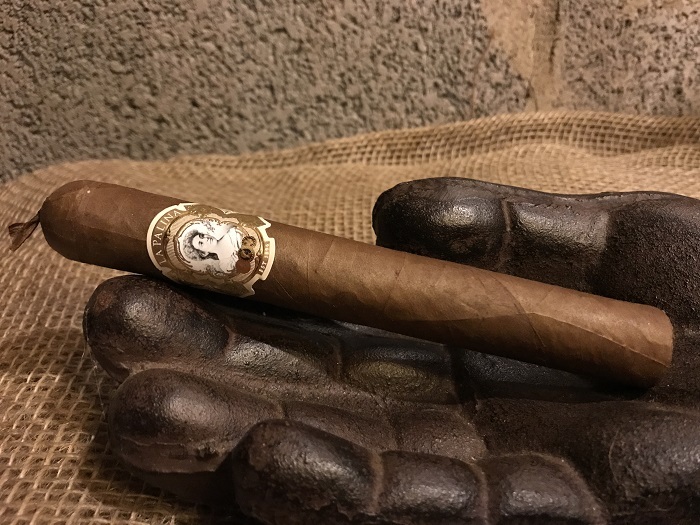 The La Palina Goldie Cañonazo is a terrific size and it delivers enjoyable flavors throughout. It has depth and complexity and there is transitioning present as well. If you have loved recent Goldie releases, this will be another one to your liking. 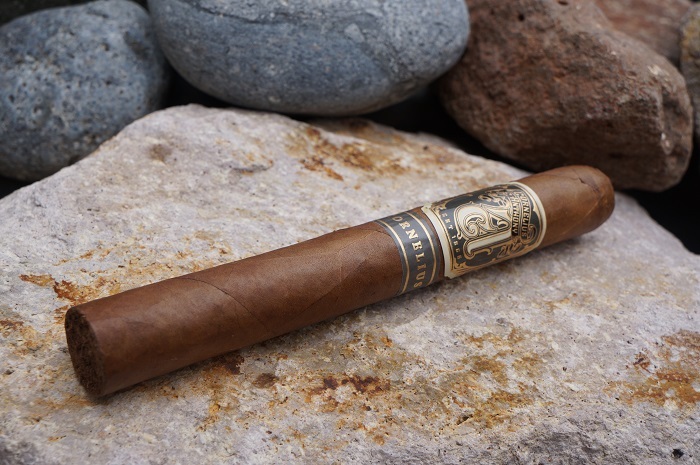 If the flavor profile of the Aganorsa Leaf Casa Fernandez Miami Aniversario Perfecto had kept what the first third provided, the score would be much better. I'd be interested in revisiting this in hopes of a better draw and more complex profile. 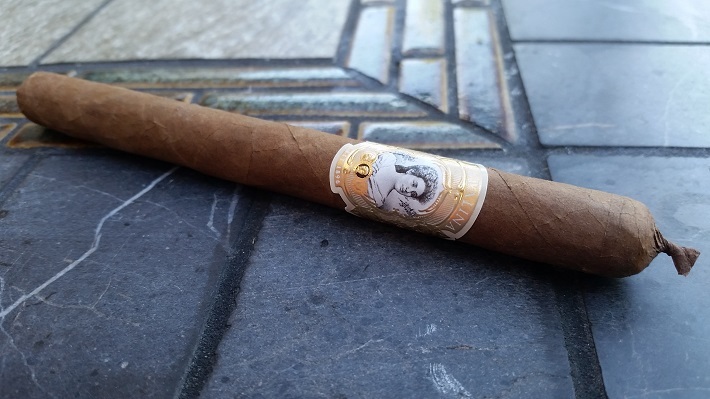 The cigar began with a fairly potent strength level from the combination of cinnamon and black pepper. That subsided after about a half inch while the toasted wood was the primary player throughout the cigar. Some cream and mustiness joined in to run through the end of the second third and then the profile was just centered around the wood in the final third. A tasty and unique profile through and through. The combination of meatiness and rich roasted nuttiness to my surprise worked very well off each other. This paired with just the right amount of balanced spice created a tasting profile well enjoyed and very much worth seeking out more of. 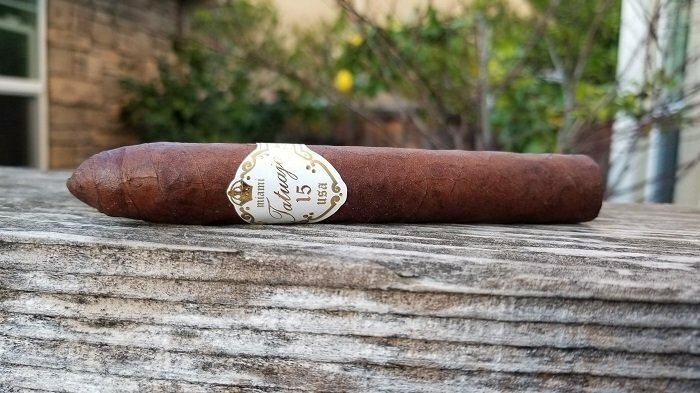 This was a solid Goldie and I think it will do well with consumers, mostly because of the size, but it is not my favorite of the Goldies. 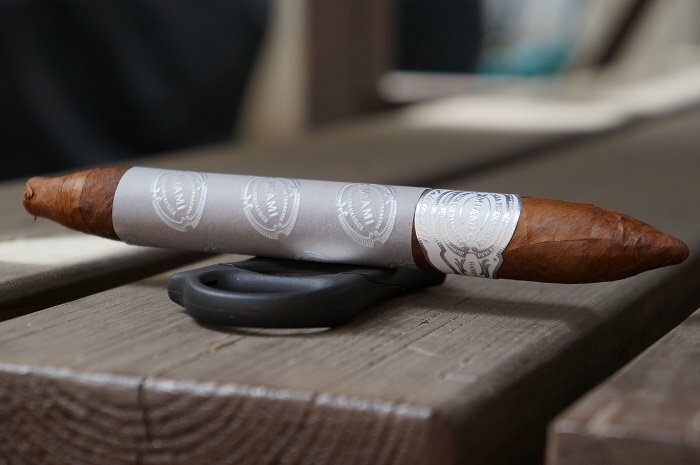 With time, the flavors will develop in the second and final third, knock on wood, and that will help the cigar in terms of flavors. 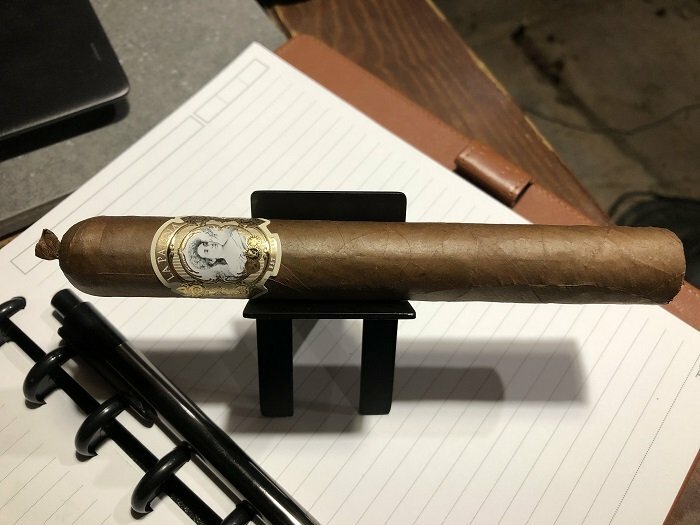 With that being said, the draw and construction were great and a majority of cigar smokers will truly enjoy. 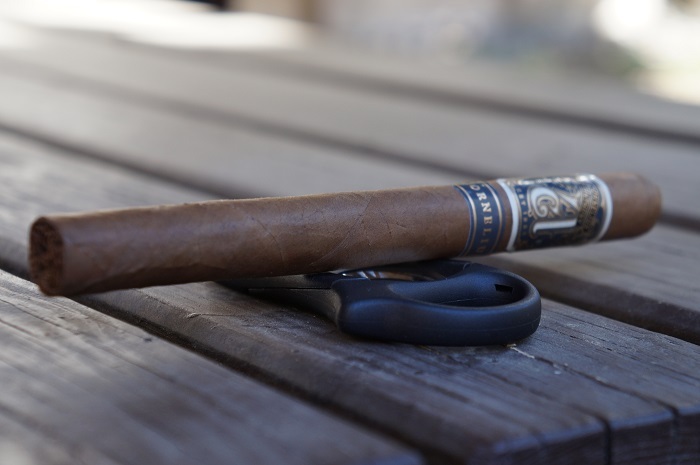 I really liked the small transitions that the cigar started with. At the midway point, the flavors became more linear. 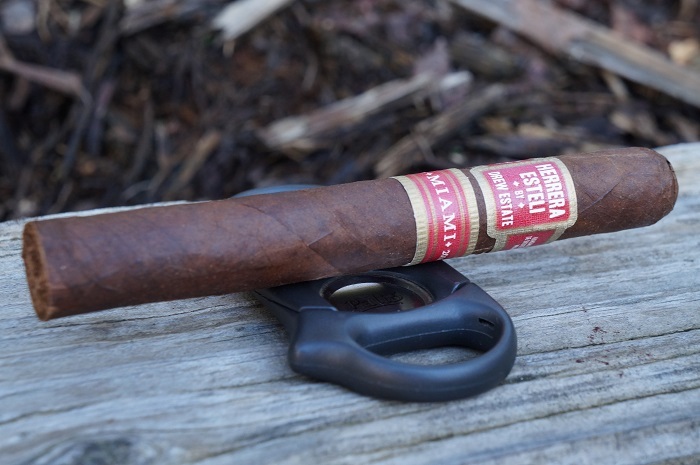 This is another nice addition to the Herrera Esteli line and one I would gladly revisit in the future. Using this cutter exclusively for a couple of months hasn’t had me longing for any of my other cutters, so it’s obviously ticked all of the boxes on my must have list for a cutter. 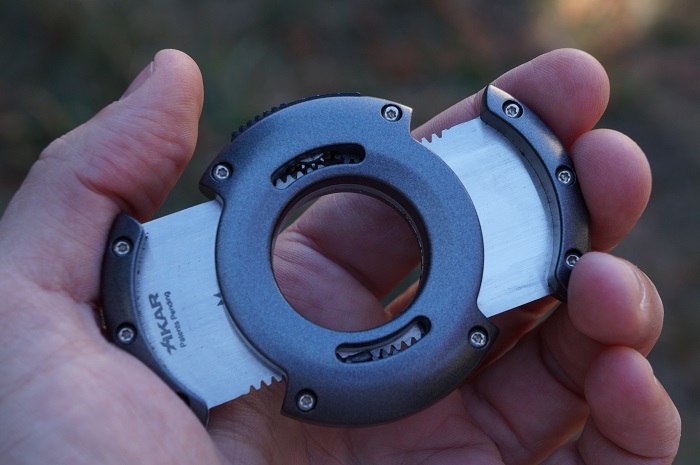 There’s definitely a cool factor with this cutter that you just keep squeezing it in your hand. I didn't take notes back in the summer of 2012, but I certainly do not remember the cigar being sharp. Specifically, sharp cedar and white pepper spice. I remember a more harmonious profile.